Summary: This article explains the differences between 4K and UHD and shows you how to copy/rip 4K Ultra HD Blu-ray with DVDFab UHD Copy/Ripper. 4K or UHD nowadays has been a buzzword. Actually, Just as 720p replaced 480p, 1080p replaced 720p, 4K or Ultra High Definition (UHD) will take the place of 1080p to become the prevailing resolution with the prices of UHD TVs and computer monitors drop to somewhat normal levels. 4K and UHD are often used interchangeably by tech website, TV producers and cinephiles, but these two words don’t mean the same thing technically. Feel confused about this? Nowthis article will reveal you the deep differences between these two tech words in a simple way. People who loves watching Ultra HD Blu-ray also should have a look at this article, for we will show you how to copy and rip Ultra HD Blu-ray for backup. Strictly speaking, the origination of these two words are different. 4K comes from a professional production and cinema standard (DCI standard) and UHD originates from a consumer display and broadcast standard. Before 4K, there is a 2K standard for production and digital projection which features the resolution as 2,048 by 1,080. While 4K quadruples that resolution to 4,096 by 2,160, which means there are roughly 4,000 pixels on horizontal side, and that’s how the “4K” is named. This Cinema 4K resolution works out to an aspect ratio of 1.9:1, which would make perfect sense on Cinema screen. UHD, the short for Ultra High definition, stems from the Full HD display, which is 1,080 pixels tall and 1,920 pixels wide. UHD is four times larger than 1080p, with the total resolution as 3,840 pixels by 2,160 pixels. It is not the 4K standard we talked above, but the producers of UHD TVs and monitors often advertise those displays as 4K. It is reasonable to use “4K” to describe “UHD” for there are no big differences between these two resolutions. 4K Ultra HD Blu-ray also uses this UHD resolution. UHD uses the standard HDTV aspect ratio of 16:9. From the above analysis, we can see that there are differences between 4K and UHD, but in most cases, the differences don’t matter so much. It is ok to use them interchangeably or use them together. But there are big differences between 4K/UHD with Full HD (1080p). Pixels make up the images on the screen, so the more pixels on the screen, the sharper and more vibrant the image look. Both 4K and UHD are four-times the size of 1080p, so they definitely are crisper, sharper and more realistic than Full HD video. To playback a UHD source on a UHD TV/monitor, you can enjoy the theater-like effect even sitting at the couch at your home. How to Copy and Rip 4K Ultra HD Blu-ray? With 4K Ultra HD Blu-ray, you can enjoy amazing and astonishing video quality. Same with DVD/Blu-ray disc, 4K Ultra HD Blu-rays are fragile plastic discs. So if you have a valuable Ultra HD Blu-ray movie, you may also want to copy or rip the movie for backup. DVDFab, the professional on Blu-ray solution, has already released UHD Copy and UHD Ripper for users to copy/rip unprotected 4K Ultra HD Blu-ray disc/folder/ISO file. Note: With the leaked AACS 2.0 keys, you can copy or rip protected 4K Ultra HD Blu-ray discs with DVDFab UHD Copy or UHD Ripper. You need to go to Common Settings > Blu-ray > UHD on DVDFab program to load the key of the protected Ultra HD Blu-ray movie. DVDFab UHD Copy is the best 4K UHD copy software which is capable of copying and compressing the unprotected 4K Ultra HD movies to blank BD-50/25 discs, folders or ISO files that can be stored on hard disk drive in 2160p. Though the video in Ultra HD Blu-ray is compressed, the high HDR10 and Dolby Vision video quality will be retained. So people who love HDR10 and Dolby Vision quality do not need to worry, and you can still enjoy the brightness of highlights and natural color boosted by those two formats. As we all know, Ultra HD Blu-ray movie is large, which usually contains about 70GB of data. Large data means we need to spend more time to complete the copy process. However, with its support the latest hardware acceleration technologies, DVDFab DVD Copy can decrease the copy time from an average of 20 hours to around 1 hour, or less. DVDFab UHD Copy is pretty easy to use. Now let’s the detailed steps. Step 1: Download and install the 64-bit version of DVDFab 10 to your computer. Step 2: Run DVDFab 10, go to Copy module and choose Main Movie or Full Disc mode. Step 3: Load the source 4K Ultra HD source and click the wrench icon to select your preferred output size. Step 4: Select an output directory and then click the “Start” button to start the copy process. 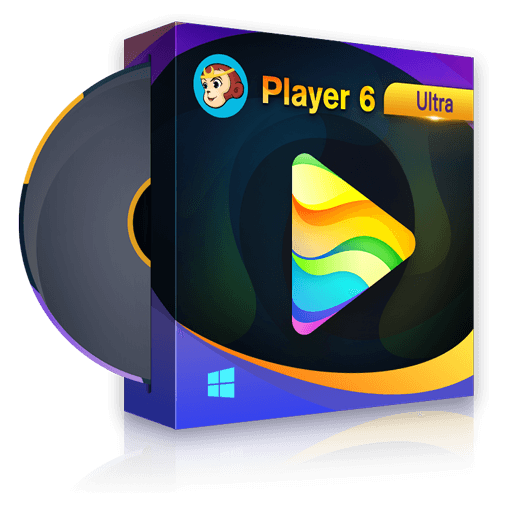 DVDFab UHD Ripper is the first 4K Ultra HD Blu-ray ripper software program that can convert and rip unprotected 4K Ultra HD movie into MKV Passthrough, M2TS Passthrough, MKV.4K.H265.10bit and M2TS.4K.H265.10bit. The first two formats are lossless ones that share the same video quality with the video on the original UHD Blu-ray disc. The latter two formats shrink the original contents to smaller size but still provide best video quality possible. Though Ultra HD Blu-ray are ripped into common M2TS and MKV formats, the HDR10 format will still be retained. But that is not the same with Dolby Vision. If your computer includes a video card capable of 4K HEVC 10-bit decoding and encoding, DVDFab UHD Ripper can shrink the ripping time from 20 hours to about 1 hour or less. Now let’s see how to rip 4K Ultra HD Blu-ray with DVDFab UHD Ripper. Step 1: Download and install 64-bit version DVDFab 10 on your computer. Step 2: Run DVDFab 10, go to Ripper module and load the 4K Ultra HD Blu-ray source. Step 3: Go to the profile library, and choose a video format from MKV Passthrough, M2TS Passthrough, MKV.4K.H265.10bit and M2TS.4K.H265.10bit. Step 4: Customize your video. Here you can choose the titles, chapters, audio tracks and subtitles you want, you can also customize your settings and edit your video. Step 5: Select a directory to save the output video and click the “Start” button to start the ripping process. Do you know anything about HDR10? HDR10 is one of the formats of HDR. Here in this article, we will discuss HDR10 and other HDR formats. If you need a media player for TV, you should have a look at this post. Here we recommend you the best media player for TV that comes with powerful features for you to manage and play your movies.